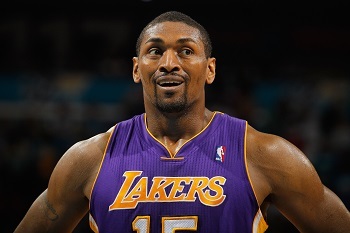 Throughout his 18 year career in the NBA Metta World Peace played for 6 teams, was an All Star and became an NBA champion in 2010 as a member of the Los Angeles Lakers. He was drafted in the first round in 1999 by the Chicago Bulls. As a player, he was always an elite defender. But he had a reputation for losing his cool. When it worked, it made him passionate, tough and nearly impossible to get past. But when didn't, things went south easily. In 2004, at a game in Detroit, a hard foul between players escalated into an all out brawl between players and fans. The incident, now infamous, was called the Malice at the Palace. He's written a memoir about his life: "No Malice: My Life in Basketball." In it, he recounts his triumphs and shortcomings, including, of course, that incident in Detroit. He's one of the most fascinating people in basketball. This week, we cover a lot of ground with him - the highs and lows of his career - the championships, the fights. He'll also talk about what it was like to grow up in Queensbridge, the biggest public housing complex in the country. And, of course, if you're a fan of his you've probably heard the story about the first time he met Kobe Bryant in a shower - but did it really go down the way people say? The answer might surprise you. Lucas McFadden is a DJ and producer, best known for co-founding the iconic underground hip-hop group Jurassic 5. 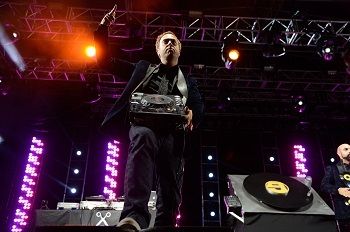 If you ever catch him spinning records on a turntable he does so under the name Cut Chemist. He'll tell us about "Park Bench People" by Freestyle Fellowship. The Fellowship was a boundary-defying underground crew fronted by MC's Myka 9 and Aceyalone. Find out how the song changed his idea of what hip-hop could be. Cut Chemist's first record in 12 years drop earlier this year, it's called "Die Cut." The album features collaborations with musicians like Chali 2na, Mr. Lif, Biz Markie, and his hero - Myka 9. 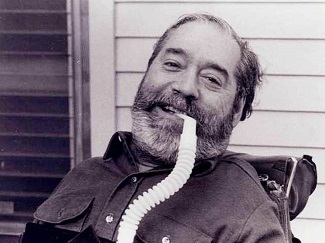 This week, Jesse pays tribute to Ed Roberts, a pioneering leader in the disability rights movement. In the late 80's, Jesse's father worked for Ed, and they were best friends. Jesse reflects on his dad, and his dad's friend, and those memories from his childhood. Check out this Outshot on YouTube!